Pastor Steven Cox is inspired to share the blessing of his God-given talent as a Gospel singer with others, just as God has shared it with him. He offers a smooth approach to his song delivery. It is a touch of gospel mixed with contemporary music. It is truly an inspirational sound. 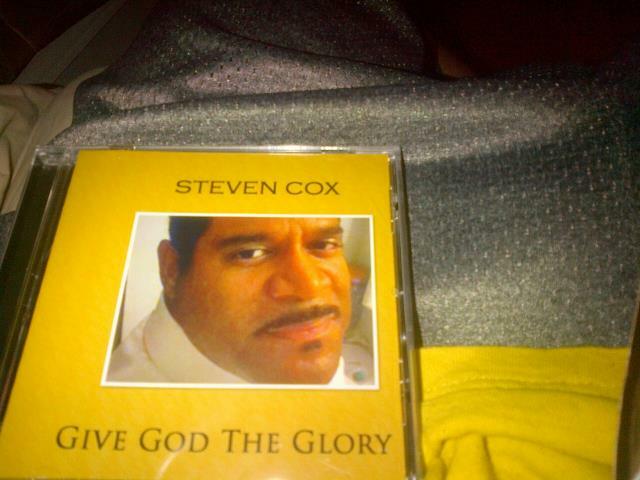 Please add my new CD or mp3 songs entitled "Give God The Glory" by Steven Cox to your CD collection. You can purchase it on CDBaby.com, Apple iTunes, Amazon.com and from me. I know that you will enjoy! Tell me about it. Thank you and be blessed! ***If you are shopping on Amazon.com for my CD, use this link to purchase for $10.99. Nokia, 24-7, Rumblefish, Great Indie Music,Media Net, Google Music Store and on Rhapsody.